Gideons International representatives will no longer distribute bibles in the hallways of the Vocational-Technical Education Building of Warren High School in Warren, Arkansas, thanks to the Freedom From Religion Foundation. During the 2011-2012 school year, at least two members of Gideon International were passing out bibles in halls of Warren High School. This clear violation of the Establishment Clause occurred during school hours. Staff Attorney Stephanie Schmitt sent a March 5 letter of complaint to Superintendent Andrew Tolbert. "The Warren School District cannot legally allow its schools to be utilized by overreaching proselytizers. By permitting the distribution of bibles on school grounds the District is placing its 'stamp of approval' on the religious messages contained in the gideon bible," wrote Schmitt. FFRF claimed victory over this issue on March 6. Assistant Superintendent Marilyn Johnson affirmed, "Our principals and the director of our technical school have been notified to discontinue the practice of Gideon Bible distribution." The Freedom From Religion Foundation has made secularism, not Christianity the "first priority" at West End High School in Gadsen, Ala. The Christian youth organization, First Priority, will no longer be allowed on campus during school hours. Until FFRF's involvement, West End High School permitted First Priority adult representatives on campus during the school day. First Priority is "On Your Campuses to Reach and Disciple a Generation With the Love and Message of Jesus Christ." First Priority describes itself as "the people of God uniting together to make a positive impact in the lives of this generation." FFRF's complainants noted that the group addressed students on school grounds. West End High School promoted the group to students through its website. FFRF Staff Attorney Stephanie Schmitt wrote to Superintendent Alan Cosby on Feb. 27: "No religious organization should have special access to proselytize during the school day at Etowah County Schools. It does not matter whether students have invited the First Priority ministers; students cannot be allowed to circumvent school policies simply because they desire Christian ministry during their lunch hour." The School District responded to FFRF's complaint in a March 2 letter: ". . . all activities connected and concerned with the First Priority non-curricular student led group which may have taken place during the hours of school will no longer be allowed to take place during those hours." The Freedom From Religion Foundation has put an end to pre-game school football prayers in Lake Charles, La. No longer will a clergy member be asked to give a prayer over the loudspeaker at Sam Houston High School (SHHS) football games. FFRF Staff Attorney Stephanie Schmitt sent an initial letter of complaint to Superintendent Wayne Savoy on Sept. 9, 2011. Schmitt pointed out that public high school events must be secular to protect the freedom of conscience of all students. Since the prayers are announced via the loudspeaker and all in attendance are asked to join, a reasonable Sam Houston High School student would certainly perceive the prayer as school sanctioned. After receiving an additional letter of complaint on Feb. 9, an attorney for the school district replied on Feb. 29. All school principals were told that they should not sponsor prayers at public high school football games. He also added, "we are confident that any of the situations that gave rise to your concern have been addressed. . ."
The Freedom From Religion Foundation has prevented future Trinity High School (Bedford, Texas) classrooms from screening blatantly religious films. During the month of January several classes viewed the film "Fireproof." It is FFRF's understanding that at least one student objected to the Christian content of the movie before it was shown. "Fireproof" chronicles the life of a Christian man who is forced to save his marriage by showing his wife the love of Christ. Within the movie the protagonist "recommits his life to God and uses God's helping hand to discover what it means to love his wife." In a Feb. 7 advisory letter, FFRF Staff Attorney Stephanie Schmitt pointed out the "serious constitutional concerns" associated with the screening of this film to a captive audience of high school students. FFRF further discovered that "Fireproof" is a product of Sherwood Pictures, the "moviemaking ministry." This production company is run by the Sherwood Baptist Church in Albany, Ga., and is known for producing "Christian propaganda." On Feb. 27, FFRF was notified by the school district's superintendent that the teacher was directed not to show the movie again. The superintendent added, "You can be assured that the movie is not part of any district curriculum." The Freedom From Religion Foundation has put a stop to overtly religious assemblies at Greenbriar Public Schools in Greenbriar, Ark. In early February, Greenbriar High School condoned a Christian-themed assembly featuring speakers from a local rehabilitation facility, Renewal Ranch. FFRF Staff Attorney Patrick Elliott wrote to Superintendent Scott Spainhour on Feb. 8, advising him to "immediately cancel any other scheduled Renewal Ranch assemblies and avoid inviting them into public schools in the future." Renewal Ranch identifies as a Christian organization dedicated to "restoring broken lives through Christ where men with addictions can develop a personal love relationship with Jesus and God will be glorified!" Through its complainants, FFRF learned that five members of the Renewal Ranch were present at the assembly. The members blatantly used the event as a means to proselytize, making statements such as, "the road to salvation" and "Jesus Christ is the only way." FFRF received a positive reply from Spainhour on Feb. 17: "In order to insure that the incident is not repeated, the building principal will require that in the future all speakers making presentations to the student body are directed to the school's policy regarding religion and instructed to follow the same." The District's Chief Information Officer responded on Feb. 16, in a memo stating, "Fortinet has taken steps to remove atheist websites from the classification of ‘occult’ to other religious or belief classifications." The District says that atheist and agnostic websites are now accessible to all students. It is not known what other sites Fortinet blocks for being categorized as "occult." Southside High School in Elmira, N.Y., will no longer play religious holiday music during the month of December. The Freedom From Religion Foundation wrote to Southside Superintendent Joseph Hochreiter on Dec. 19, 2011, warning him of the serious Establishment Clause violation occurring at Southside High School. During the month of December, the high school would play intrusive religious holiday music non-stop in the halls. This practice took place everyday for the entire month. This overtly sectarian program was justified to "lift morale, especially for those underprivileged kids who don't get much of a celebration at home." Even the school's morning news program included carols. Songs included, "Oh Holy Night, O Come Emmanuel and From a Distance." Even with classroom doors closed, the unlawful Christian music could still be heard from the hallway, and FFRF received complaints from those at the school. FFRF requested that the practice of "blaring Christmas music in the halls of a public school" not recur in the future. Hochreiter responded to FFRF's request on Feb. 13, confirming that religious songs would no longer be broadcast over the loudspeaker in December. Pancho's Mexican Buffet in Euless, Texas, will no longer offer a special discount to patrons who bring in a church bulletin. Before FFRF issued a complaint, Pancho's was in the habit of offering a 10 percent discount to church-goers. Customers were faced with both a counter and online advertisement of the promotion. Several secular customers were denied the discount without a copy of a bulletin in hand. Stephanie Schmitt, FFRF staff attorney, wrote to Pancho's on Nov. 10, 2011. Schmitt directly referenced the Civil Rights Act: "As a place of 'public accommodation' it is illegal for Pancho's to discriminate, or show favoritism, on the basis of religion." After sending an additional letter of complaint, FFRF received word on Feb. 13 that the religious promotion signs were removed. After receiving a series of complaints from the Freedom From Religion Foundation, the U.S. District Court for the Middle District of Florida in Fort Myers will no longer deny witnesses their right to be sworn in with a secular oath. During a March 2011 trial, a FFRF complainant was denied access to a secular affirmation. The witness had previously requested a secular affirmation be given, even though though this option was never offered. After several misunderstandings the witness was asked to "drop the issue" by his attorney for fear of biasing with his testimony. FFRF first took issue with this blatant state/church offense on June 20, 2011, in a letter to Judge Anne Conway. "The U.S. Supreme Court held that 'neither a State nor the Federal Government can constitutionally force a person to profess a belief or disbelief in any religion,'" wrote Stephanie Schmitt, FFRF staff attorney. Any attempt to force a witness to take a religious affirmation is in direct violation of the Free Exercise Clause. FFRF wrote two letters following its initial complaint in June. On Feb. 13, Conway replied: "Regarding the issue addressed in your letter, I have reminded the judges of the Middle District of Florida of the provisions of Fed. R. Evid. 603 and the Advisory Committee Notes concerning that rule." Cedar Falls, Iowa, will no longer be making religious recommendations in its city newsletter, Currents, thanks to the Freedom From Religion Foundation. The Winter 2012 edition of Currents featured several religious suggestions for improving communities. Within the article "The Blues Zone Project – Help Us Win," the City proposed "9 Traits of Thriving Communities." The "thriving traits" included meditating and praying and an effort to "connect to a faith based community." The City appeared to directly endorse prayer and church, as "The City of Cedar Falls" was displayed prominently at the top of the article. FFRF Staff Attorney Stephanie Schmitt wrote a Feb. 6 letter of complaint to Mayor Jon Crews: ". . . including such overtly religious messages in a City-published newsletter constitutes blatant state endorsement of religion and alienates those Cedar Falls residents who are nonreligious." An attorney for the city replied to FFRF on Feb. 10: "The City will follow-up with employees drafting such documents and emphasize a thorough review of future city publications to prevent the printing of language with references to religion." Weatherford Independent School District in Weatherford, Texas, will no longer allow Church groups to proselytize to elementary school children through an unlawful "Backpack Ministry" program. Crockett Elementary school students received a permission slip to attend a church sponsored event on Jan. 19. First Baptist Church sponsored a food program and attempted to gather young students to help with the event. FFRF intervened through a Jan. 27 letter: "We are especially concerned about this, given the name of the program and the 'optional' portion at the bottom of the permission slip facilitating contact between First Baptist Church and participating familes." The optional portion of the permission slip included an appeal to students and parents: "If you would like someone from FBC to contact you or your family you may leave your contact information here." "We believe this permission slip crosses the line by having the school serve as a conduit for church recruitment., and that the 'optional' should section should never have been included," wrote FFRF Staff Attorney Stephanie Schmitt. FFRF received notice on Feb. 9 that the school district will not include "the optional language at the bottom of the permission slip" in any future correspondence. Brush College Elementary School in Salem, Ore., will no longer provide take home advertising for bible club meetings, thanks to the Freedom From Religion Foundation. The Child Evangelism Fellowship, Inc., petitioned Brush College Elementary School to allow all students to take home overtly religious fliers to promote its Good News Club meetings. The Good News Club is a Christian bible club that meets at the school. According to the filer, students would gain "moral and spiritual training" through "rich bible lessons." In an Oct. 31 letter to Salem-Keizer School District Superintendent Sandy Husk, FFRF drew attention to the objectionable practice of religious flier distribution in public schools: "Many enlightened school districts across the country have sought to avoid this entanglement by prohibiting third parties from using the take home fliers system all together." In a Feb. 8 response letter, the Salem Keizer School District agreed to "monitor the separation of church and State and work closely with our legal counsel in order to stay within the appropriate boundaries established by both State and Federal legislation." Wayne County Community College District in Detroit, Mich., will no longer allow instructors to promote their personal religious beliefs through email. The Freedom From Religion Foundation received complaints over an instructor's improper use of email. A Wayne County professor sent a "welcome" note to students, which happened to include an invitation to attend a specific church in the Detroit area. In a Feb. 1 letter to Chancellor Dr. Curtis Ivery, FFRF wrote of the obvious form of endorsement a school-sponsored email can take. FFRF pointed out that the instructor's statements referencing personal religious beliefs and encouragement to visit a particular church "constitute an official endorsement and advancement of religion over nonreligion, and specifically Christianity over all other faiths." A member of the college's legal counsel replied to FFRF's initial complaint on Feb. 6. In his letter he confirmed that the college had requested the instructor refrain from making comments referencing religion while acting on behalf of the institution. The Freedom From Religion Foundation has put an end to illegal bible distribution in the Oakfield-Alabama Central School District in New York. Gideons International was given permission to hand out bibles during the school day to fifth-grade students at Oakfield-Alabama Elementary School. Concerned parents brought this blatant First Amendment violation to FFRF's attention. In a Dec. 8, 2011, letter to Superintendent Christoper Todd, FFRF Staff Attorney Stephanie Schmitt warned against this unlawful event, " . . . it is unconstitutional for public school districts to allow the distribution of bibles on school grounds to a captive audience of students. Courts have held that the distribution of bibles to students at public schools is prohibited." Todd addressed FFRF's constitutional concerns with the school district. He promised bible distribution "will no longer be practiced in our school district." The Freedom From Religion Foundation has put an end to locker room prayer at Bowie High School in El Paso, Texas. Before FFRF intervened, Bowie High School's pre-football game tradition consisted of group prayer. Abuses included a local pastor joining the team before games and calling all members to bow their heads and kneel in prayer, with coaches participating. FFRF was informed that these unlawful events had most likely been taking place since at least 2010. Senior Staff Attorney Rebecca Markert wrote to Interim Superintendent of El Paso Independent Schools on Jan. 5, noting that "it is illegal for a public school to organize, sponsor, and lead prayers at public school events." After receiving FFRF's letter, Bowie High School Principal Jesus Chavez held a meeting with school district personnel. A school district attorney sent a Feb. 2 response: "Dr. Chavez directed all personnel to refrain from facilitating any and all prayers which are led by clergy members and/or school officials." The Freedom From Religion Foundation has wrapped up a seven year old case to remove an illegal angel statue from public property. The statue was placed outside of the Interpretive Center in Genesee County Park in Batavia, N.Y., by the Women's Republican Club in memory of a Republican activist. FFRF Co-President Annie Laurie Gaylor initially wrote to the County Park over the unlawful statue in 2005: "We continue to believe the angel statue itself, not just the 'guardian angel' reference, makes the garden look like a religious cemetery. Whether a religious intent was conscious or not, the presence of a large, white statue of an angel or seraphim (precisely of the type which is sold to be placed in religious cemeteries) injects a symbol of Christianity into a secular, publicly-maintained center." FFRF suggested the Women's Republican Club move the memorial to private land. 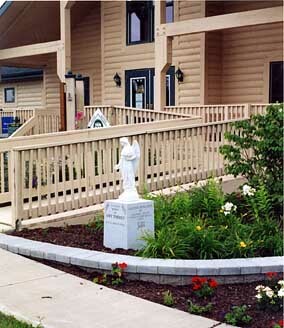 According to a local news story the statue was schedule to be moved in August 2005. Six years later, FFRF learned that the statue still stood in the county park. Staff Attorney Stephanie Schmitt wrote a series of follow up letters to the County Attorney, requiring that FFRF be informed as to "what steps have been or will be taken to move the statue to a more suitable private location." County Attorney Charles Zambito responded to FFRF on Feb. 1: ". . . the Angel Statue that was located in front of the Interpretive Center at the Genesee County Park has been removed from the premises." The Kiel Area School District Board of Education (Wis.) has “decided to make no changes to the curriculum,” said School Board President Cynthia Schmahl in a recent email to Staff Attorney Patrick Elliott and Constitutional Consultant Andrew Seidel. After being warned by local members, Elliott sent a letter to the Board on Dec. 8, 2011, instructing them on the illegality of a proposal to teach “alternative theories of the origins of man within the science curriculum.” The proposal, brought by Board member Randy Kubetz, was “patently unconstitutional,” FFRF charged. Persistence and reason prevailed and science, not religion, will be taught in public schools in Kiel. Kindergartners will no longer be exposed to Christian evangelism during Bel Air Elementary School (Athens, Texas) field trips. During three school trips to a pumpkin patch at Brand Cowboy Church in Athens, between Oct. 26-28, 2011, first-grade and kindergarten students had to listen to sectarian stories. One such story included a direct reference to Christianity: "God made each pumpkin different, just like he made each child different." Students also received a Christian-themed pamphlet, entitled "Bag of Jokes." This take-home pamphlet told students they were all sinners and instructed them to pray to God to ask for forgiveness. FFRF Staff Attorney Stephanie Schmitt wrote an Oct. 27 letter to the Athens Independent School District Superintendent in an attempt to intervene before the third field trip took place. This flagrant constitutional violation was not resolved until Jan. 31. An Attorney representing the school district wrote, "To this end, it appears as if any such endorsement was done without knowledge or approval of the school district . . . The school district is confident that any Establishment Clause/Free-Exercise concerns have been addressed." Bellview Elementary School has learned a valuable lesson. It will no longer allow Gideons International to distribute bibles in its hallways. After receiving several complaints from concerned Arkansas parents and citizens, FFRF wrote to Rogers Public Schools Superintendent Janie Darr on Oct. 27, 2011. Staff Attorney Patrick Elliott pointed out that the practice of allowing Gideons International or other evangelizing Christian organizations to hand out bibles in public schools is a violation of the Constitution. This case was especially egregious as the proselytizing occurred inside an elementary school, during the school day. FFRF did not receive a response until an additional letter was sent to the school district. On Jan. 27, an attorney representing the district notified FFRF that the matter had been settled. "Based upon Dr. Darr's recommendation, the Rogers School District has informed the Gideon organization that it will no longer allow the distribution of Bibles on school property." Greenwood Community School Corporation in Indiana has promised to refrain from allowing staff members to display overtly religious messages after receiving a letter of complaint from the Freedom From Religion Foundation. Last December, cafeteria servers at Greenwood Community High School wore red shirts that stated “Christmas without Christ? I don’t think so.” They also offered candy canes to students which contained the proselytizing and macabre false story on the supposed Christian origins of the candy cane. A student reported that other religious messages remained on display in the cafeteria after Christmas, including a statement about prayer in school. In a Jan. 23 response, Edds assured FFRF that the district is “taking measures to make sure there are not overt religious messages in our schools that are in violation to any federal court decisions.” The student complainant confirmed that the religious items had been removed from the cafeteria. Likely prompting Edds’ quick reply was the fact that Greenwood Community School Corporation was recently on the losing end of litigation challenging district prayer at graduation. Eric Workman, then a graduating senior at Greenwood High School, sued the school district and successfully won a preliminary injunction halting school-condoned prayer at his graduation ceremony in 2010. Eric went on to receive FFRF’s Thomas Jefferson Youth Activist Award and spoke at its 2010 national convention. The Freedom From Religion Foundation has ended the Asuka Hibachi and Buffet's (Smyrna, Tenn.) unlawful practice of giving a discount only to church-goers. Asuka Hibachi and Buffet promoted a $1 discount to customers who brought in a church bulletin on Sundays. The restaurant displayed the offer on a hand-written sign as a "family special." In a Jan. 18 letter to Asuka Hibachi, Staff Attorney Stephanie Schmitt informed the owners of their serious violation of both the federal Civil Rights Act and Tennessee Civil Rights Laws, as "All persons shall be entitled to the full and equal employment of goods." Schmitt received a satisfactory response on Jan. 21 from Ricky Chan, owner of Asuka Hibachi: "I had addressed this issue to my staff, and have taken the sign down. I do apologize for any issues, this may have caused." The Freedom From Religion Foundation educated a Texas High School on the unconstitutionality of a school official sending religiously themed school emails. "Count on God instead of yourself," was the statement Klein Forest High School Assistant Principal Rene Milanizadeh included in an email to teachers on Nov. 18, 2011. She sent out a poem entitled "How to Observe Thanksgiving," with the aforementioned sectarian sentence in the last line. FFRF Staff Attorney Stephanie Schmitt wrote to Milanizadeh on Dec. 20, pointing out the constitutional flaws with the overtly Christian email. Schmitt stated, "It is well settled that public schools may not advance or endorse religion." Ellen Spalding, the school district's legal representative, responded to FFRF's letter on Jan. 18: "Ms. Milanizadeh has expressed understanding of her duties and obligations with regard to this issue. Thank you for bringing this matter to our attention. . . KISD believes the matter to be resolved." The Freedom From Religion Foundation has put an end to Chick-fil-A's biased, unconstitutional church bulletin promotion. 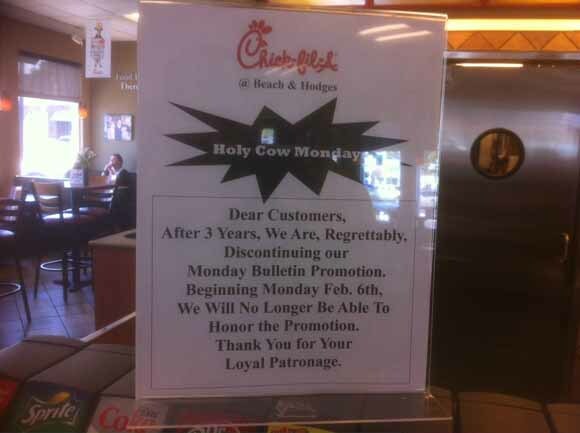 A Chick-fil-A restaurant in Jacksonville, Fla. offered a promotion to patrons who brought in a church bulletin on the Monday after the service. Church-going customers received a free eight nugget or Chick-fil-A sandwich with the purchase of a side and drink. FFRF Staff Attorney Stephanie Schmitt wrote an Oct. 5, 2011, letter to Chick-fil-A owner Jeff Wier, advising him to put a stop to his discriminatory discounts. Schmitt pointed out that Florida's Civil Rights Act strictly warns against public discrimination based on religion. Wier wrote to Schmitt on Jan. 18: "Stephanie, we are discontinuing the promotion effective 1-31-12." A Canton Career Center Principal will no longer be promoting his Christian beliefs at work, thanks to FFRF. FFRF received reports that the Principal repeatedly promoted his Christian beliefs at Canton Career Center. He preached, led prayers, read from the bible and called teachers to pray. On many occasions he proselytized to staff members during faulty meetings. FFRF wrote two letters to the Chairman of the Canton School Board urging him to "remedy these serious First Amendment concerns." FFRF received a response from the school district's attorney on Jan. 17. The attorney assured FFRF that all of the illegal activities "were to cease immediately." FFRF has won the game against athletic prayer in Inez, Ky., for the second time. The first time FFRF declared victory at Sheldon Clark High School (SCHS) was this fall during football season. SCHS delivered illegal prayers over the public address system before both football and basketball games. Senior Staff Attorney Rebecca Markert first wrote to the School District on Sept. 6, 2011 advising the school to end the unconstitutional prayers taking place prior to football games. Two weeks later FFRF received a response from School District Attorney John Triplett claiming an end to the prayers. A few weeks later, local complainants again took issue with pre-game prayers, only this time before basketball games. The prayers were student-initated and broadcast over the intercom system. Markert wrote a Dec. 21 letter asking SCHS again to end school-sponsored prayer at all school and sports events. In a Jan. 10 letter of reply, Triplett wrote: " ... [I] was assured that the principal understood the correct procedure 'no school supported prayer at school events' and was assured that this would not happen in the future at either or any other events at the school." The Sandburg Elementary School (Wheaton, Ill.) winter concert will no longer feature a Christian song. Prior to FFRF's involvement, Sandburg Elementary School hosted a musical program in November 2011. During the program children performed the Christian tune, "There was a Little Baby." School District parents were concerned that sectarian songs were being taught in a public school by a public school teacher. FFRF wrote to Superintendent Brian Harris on Dec. 2, calling attention to the constitutional violation. In a Dec. 27 response Harris wrote: "Please know that the song in question was pulled from the program before the performance and replaced with a secular song choice. This piece of music will not be used again." Two days later FFRF received a letter from the school district’s attorney, advising that “the referenced displays have been removed from the classroom and appropriate directives have been conveyed that protect religious freedoms.” Furthermore, “[w]hile the outcome of the investigation is confidential” the district was investigating the allegations against the teacher. A solid victory for the Constitution. Clifdale Elementary School (Glendale, S.C.) will no longer schedule prayer during assemblies. District residents and taxpayers complained after learning that a young child was asked by school officials to lead the school in a prayer during a Nov. 11 Veteran's Day ceremony. The Freedom From Religion Foundation responded to this gross violation of the First Amendment and exploitation of an elementary school-aged student in a Nov. 17 letter to Clifdale Superintendent Jim Ray. FFRF Staff Attorney Stephanie Schmitt called attention to the illegal nature of religious messages during school-sponsored events. The school district's legal counsel sent a letter of reply to FFRF on Dec. 8: "Dr. Ray is aware of the prohibitions on such prayers at school-sponsored events, and has met with the Principal of Clifdale to make certain that there is no misunderstanding about proper protocol in the future, such as having a student offer a moment of silence." Zachary Community School District in Louisiana has promised to refrain from prayer before any district events after receiving a letter of complaint from FFRF. On Oct. 17, 2011, Zachary High School held a district-wide assembly to celebrate its recent ranking in the state’s accountability plan. Before the start of the assembly, the parents and students in attendance were asked to bow their heads in prayer as an invocation was given over the PA system. The Senior Center at Euless Family Life Center in Texas no longer hosts a religious display, thanks to the Freedom From Religion Foundation. Seven days after Schmitt wrote to Taylor, Mike Davenport, recreation superintendent, confirmed that the display has been removed. fifth grade students during the lunch period. The Freedom From Religion Foundation has put an end to sectarian prayer over the intercom at Phil Campbell High School football games. Concerned district parents, taxpayers and Alabama FFRF members alerted FFRF Staff Attorney Stephanie Schmitt to the illegal midfield and loudspeaker prayers occurring at Franklin County Schools. Not only were prayers delivered over the intercom, junior varsity football team members were asked to huddle in the field to pray before the start of each game. Schmitt sent a Sept. 23 letter to Superintendent Gary Williams notifying him of the First Amendment violation. It wasn’t until Schmitt sent a second letter on Nov. 7 that FFRF received an encouraging response. “We will instruct our school personnel that we cannot lead or allow prayer to be held over the intercoms at school events as long as the current laws are in place,” wrote Williams in a Nov. 21 reply to Schmitt. The North Lamar Independent School District in Paris, Texas promised to end school-sponsored religious messages at school assemblies after receiving a letter of objection from FFRF. At an assembly in October 2011, North Lamar High School Principal Paul Allen discussed drug abuse by high school students. Allen recited passages and teachings from the bible, informing students that “Christ died for the just and the unjust.” Allen also implied that “people that don’t have god in their life, and people that don’t believe in something more” are manufacturing or selling addictive substances. Marathon School District in Marathon, Wis., has changed its policy regarding school assemblies after receiving a letter of objection from FFRF. On Nov. 11, 2011, American Legion Post 469 held a Veterans Day ceremony at Marathon Area Elementary School that included an invocation and closing prayer. These prayers were sectarian and were offered “in Jesus’ name.” The event occurred during the school day, and students were expected to attend. The Freedom From Religion Foundation has modified a Michigan Department of Human Services (DHS) oath-taking practice to permit secular affirmations. DHS offices throughout Michigan were making employees retake their oaths of office. The complainant informed FFRF that when the oath was administered to the employees, the phrase “so help me God” was included. Employees were not given the option to either swear or affirm. On Oct. 25, 2011, FFRF Staff Attorney Stephanie Schmitt wrote to DHS Director Maura Corrigan, alerting her to the constitutional violation this posed. The Freedom From Religion Foundation has saved Madison (Wis.) Metropolitan School District (MMSD) employees from taking part in a non-secular staff meeting. A MMSD staff member, as well as area taxpayers and residents, were shocked to find out that school staff meetings were to take place in local churches. A series of meetings were scheduled in late October, at a time when students would not be present in the school buildings, allowing for ample space and no need to seek refuge in churches. FFRF Staff Attorney Stephanie Schmitt sent a letter of complaint to MMSD Superintendent Daniel Nerad on Sept. 22, 2011. Although FFRF received a response from the School District’s legal counsel that “…the District intends to move forward with the scheduled staff meetings,” Oct. 31 a complainant notified FFRF that both meetings had been moved to a room in the middle school. FFRF received a complaint in September 2011, from a concerned resident of Lauderdale County, Ala., about Christian prayers over the loudspeaker at Brooks High School in Killen before home football games. In a Sept. 15 letter of complaint, FFRF Staff Attorney Stephanie Schmitt asked Superintendent William Valentine to “take immediate action to ensure that prayers are not scheduled at any school-sponsored events. After a follow-up letter sent Oct. 17, the district brought a halt to their illegal practice. For more information on the violation, see FFRF’s Oct. 24 press release. The Chesterfield County (S.C.) School District canceled a student assembly featuring a presentation by a faith-based drug rehabilitation center after a Freedom From Religion Foundation letter Oct. 17 on behalf of a local complainant.The assembly was set for Oct. 27 at New Heights Middle School in Jefferson, where FFRF successfully contested further appearances during the school day by Christian rapper B-SHOC and the planting of Christian crosses on the lawn. The Oct. 27 assembly was to have featured speakers from the Bethel Colony of Mercy rehabilitation facility, self-described on its website as "missionaries to the addicted" offering "a 65-day residential program that teaches victory over sin through Jesus Christ and the Bible." FFRF received information that a permission slip to attend the assembly, with a warning that "there is a possibility of a guest making faith-based statements," was sent home with students. FFRF Staff Attorney Stephanie Schmitt's letter to David Duff, school attorney, noted that the U.S. Constitution’s prohibition against school-sponsored religious exercise cannot be overcome by claiming such activities are “voluntary.” While FFRF understands the importance of drug and alcohol education, Schmitt said, "It is extremely disturbing that the school district would select this facility. There are several other government-run organizations, such as police departments, that are secular in nature and are well-qualified to present anti-drug awareness. "Given the overt Christian nature of Bethel Colony of Mercy, we are extremely concerned that their religious focus will bleed into the message presented at the school assembly. Therefore, we ask that the district immediately cancel the presentation to be given by Bethel Colony of Mercy." Duff responded Oct. 25 to say the "Bethel Colony appearance as a school-sponsored event during the school day, involving students, has been canceled." Duff added that it's his understanding that the group "is to appear and present information following a PTO meeting in the evening on Nov. 17, 2011. FFRF brought an end to a church bulletin discount at Bethlehem Brew Works in Bethlehem, Pa.
Several flagrant legal violations at New Heights Middle School in Jefferson, S.C., were documented in FFRF’s Sept. 19 letter of complaint [http://ffrf.org/uploads/legal/newheights_letter.pdf] to Superintendent John Williams of the Chesterfield County School District. FFRF had received reports from multiple local complainants about religious activities at the school, and the district has agreed some were illegal and will monitor them in the future. The violations included a Sept. 1 school assembly featuring Christian Chapman, a preacher and evangelist, and Christian rap artist B-SHOC (real name Bryan Edmonds), who says in a video on his YouTube channel that “324 students got saved” at the assembly. FFRF Staff Attorney Rebecca Markert noted that the assembly was promoted and described as a “worship rally” on the public school’s website. Evidently, Principal Larry Stinson was aware of the questionable legality of holding a “worship rally” like this one during the school day, but he chose to schedule it anyway. He allegedly told Chapman that “I want these kids to know eternal life is real and I don’t care what happens to me, they’re gonna hear it today.” (At 3:56 in the B-SHOC video). The school’s website also said “Connect with Christian Chapman and B-SHOC” and links to their religious sites. FFRF’s letter also noted the Christian crosses erected on the school lawn for the 10th anniversary of the 9/11 attacks. The photo was taken by a complainant Sept. 14. There was no indication of the actual sponsor of SYATP on the posting on the school’s website. New Heights Middle School also created an “event” on the school’s Facebook page for the prayer rally. However, Duff noted, the district is allowing B-SHOC to put on programs at two high schools Oct. 28-29 during noninstructional time. Several churches are sponsoring the events, which Duff alleged are permitted under board policy and for which applications have been made. The district has since responded to an FFRF open records request for the lease agreement and fee schedule for B-SHOC's performance at McBee High School on Oct. 28, a staff development, no-student day. The school leased the gym, canteen and restrooms for $210 ($15 an hour), from noon to 2 a.m. The Freedom From Religion Foundation has sent educational memos to all the public school superintendents (396) in Mississippi, Louisiana and Kentucky reminding them that official prayer at school-sponsored events is illegal and urging districts to monitor for violations. There has been immediate cessation of school–initiated prayer in at least one school district in Mississippi. North Pike school in Pike County (Miss.) announced before its football game on Fri., Oct. 7, 2011, that prayer over the loudspeaker was now prohibited. Before receiving FFRF's memo Christian prayers were routinely broadcast over the intercom. Muhlenberg County Schools in Kentucky will end the distribution of bibles by Gideons International after receiving a letter of complaint from FFRF. Staff Attorney Patrick Elliott sent a letter Sept. 29 to Superintendent R. Dale Todd on behalf of a district parent to request an immediate investigation into the distribution. “The district is placing its ‘stamp of approval’ on the religious messages contained in the Gideon bible,” Elliott wrote. After receiving a complaint from an area member about a school board routinely hosting prayers at meetings, FFRF Staff Attorney Rebecca Markert sent a letter on June 29, 2011 to the Ilion Central School District, asking them to halt this "unnecessary, inappropriate and divisive" practice. After a Sept. 28 follow-up letter, Superintendent Cosimo Tangorra responded by phone. He informed Markert that as of August 2011, the board was no longer starting meetings with prayer. He had informed the board that the prayerful practice was inappropriate. The law requires that Gideons may not go onto school property. They may go on city sidewalks. FFRF stopped prayer and religion at mandatory employee in-service at a Tennessee correctional facility. An alarmed employee and FFRF members in Tennessee notified FFRF that the Tennessee Correction Academy was engaging in religious practices at employee in-service. FFRF was told there were bibles in employees’ rooms and prayer while employees were in formation. It was also FFRF’s understanding that there were religious postings in the gym. FFRF Senior Staff Attorney Rebecca Markert sent a Sept. 16, 2011, letter to Tennessee Correction Academy Superintendent Sam DiNicola advising him to end illegal employee in-services. In DiNicola’s Oct. 12 reply he wrote, “Please be advised that as of Oct. 2, 2011, a presentation which informs or reminds trainees of the separation between church and state has been added to all academy orientation sessions presented to trainees shortly after their arrival.” All religious postings in the gym have been removed, as well as the practice of furnishing bibles to dormitory rooms. The Social Security Administration, following complaints by the Freedom From Religion Foundation, has halted a mandatory baptismal question previously asked of all applicants seeking benefits. In 2008, FFRF received a complaint from one of its members who had applied for benefits at his local Social Security Administration office. Despite the fact that he had produced a birth certificate as proof of age, he was next asked the following question: “Was a religious record of your birth made before you were age 5?” When he and his wife objected to answering this invasive question, they were told the application process could not continue until they answered it. Regulation 404.716 of the Social Security Act asks for documents proving a person’s age based on date of birth. For more information on this victory, visit: http://ffrf.org/news/releases/ffrf-halts-social-security-pro-baptism-practice/. While the school didn’t immediately respond to FFRF, WHNT News in Huntsville reported [http://www.youtube.com/watch?v=6kuyEExTIS0] Sept. 20 that Mullins told a reporter he was reversing the loudspeaker prayer policy he started a decade ago and substituting a moment of silence for prayer. “It’s clear, what we’ve been doing is not in compliance with the Constitution. We’re going to cease doing what we’ve been doing,” Mullins said. FFRF sent a speedy letter of complaint Sept. 26 after Pennsylvania Nonbelievers alerted national atheist groups about a See You at the Pole prayer event scheduled for Sept. 28 during school hours at East Hanover Elementary in the Northern Lebanon School District (Pa.). An attorney for the school, Robert Frankhouser Jr., responded Sept. 27 that the time of the event would be changed to 8:40 a.m. (school starts at 8:50). The Harrisburg Patriot-News reported Sept. 28 that Superintendent Don Bell said the flier had gone out without his approval and that the event cannot be held during the school day. The Martin County School District in Inez, Ky., has agreed to stop pregame prayers at athletic events at Sheldon Clark High School after receiving a FFRF letter of complaint on behalf of a district resident. Not only were the prayers staff-led, they were almost always sectarian and often referenced Jesus Christ. A decision by Christ Cathedral Church, 3350 Allegheny Ave., Columbus, Ohio to remove a Freedom From Religion Foundation billboard has had expensive consequences for the church. Shortly after Columbus atheist Dylan Galos' "Coming Out of the Closet" billboard, stating "I can be good without God," went up in late June, Rev. Waymon Malone Jr. of Christ Cathedral Church said it had to go, and it was moved to a new location. The church owns the property the billboard company was leasing near its parking lot. After finding no record the Church paid property taxes for this commercial use of the property, FFRF sent a letter July 7 asking Franklin County Auditor Clarence Mingo II to investigate. FFRF further inquired in an Aug. 1 letter to Mingo about the church-owned property at 407 Stelzer Road that is directly behind the billboard. It was purchased in 2006 for $550,000 and is receiving a tax exemption. Several private businesses are leasing most of the building. Teach & Learn Child Care, AMC Realty and AMC Transport, all with listed addresses at 407 Stelzer Road, are headed by Anthony Malone. FFRF does not know how Pastor Malone and Anthony Malone are related. On Sept. 22, FFRF received confirmation that the property will now be fully taxed in 2011. After assessing the property value for 2011, the Franklin County Auditor determined the property to be for commercial use and valued at $735,300. 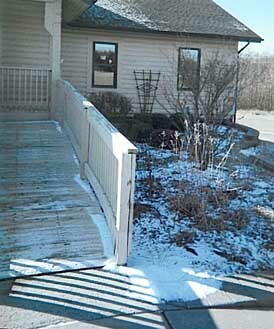 In 2010, the property was assessed at $673,700, nearly all of it tax exempt, as it was listed as "a place of worship." The Church failed to pay about $1,645 due for 2010 (for a small portion then considered commercial), and now owes $1,900 including penalties. Commercial property taxes are expected to be more than $18,000. To date, the church has not submitted a new application for exemption and would need to provide evidence of exempt use. FFRF Staff Attorney Stephanie Schmitt sent a letter of complaint Aug. 29 to Superintendent Thomas Lockamy Jr. of Savannah-Chatham County Public Schools, Savannah, Ga., after a local complainant alerted FFRF to constitutional violations. Before games, soccer team members from Savannah Arts Academy, a public school with a performing and visual arts emphasis, joined hands in a circle to pray, with referees often participating. In addition, the annual soccer awards banquet is held at St. Peter’s Episcopal Church. A parent who is also a pastor led a prayer before the meal, with the principal standing beside him. FFRF Staff Attorney Stephanie Schmitt sent a Sept. 13 letter of complaint on behalf of a parent in the Huntington Independent School District in Huntington, Texas, to object to school officials coordinating with Salem Missionary Baptist Church to send home fliers for a Christian “youth rally” Aug. 27. The flier asked, “Do you want God to set a fire in your soul?” The event included “Bible Study, Praise & Worship. Bible & change of clothes are only things needed!” The fliers were distributed by at least one teacher at Huntington Intermediate School, who apparently received the fliers and distribution instructions from the principal. Several schools in the Highlands County School District in Sebring, Fla., had religious assemblies scheduled for Oct. 5 until FFRF Staff Attorney Stephanie Schmitt put a stop to it with a Sept. 7 letter of complaint to Superintendent Wally Cox. A Texas public school superintendent called a math teacher’s religious school supply list “a harmless error” after receiving an FFRF letter of objection. FFRF Staff Attorney Stephanie Schmitt sent a letter Aug. 30 on behalf of a district parent to Superintendent Stan Surratt of the Lindale Independent School District and to Principal Vicki Thrasher at Lindale Junior High School in Lindale, Texas. On Sept. 6, FFRF recieved a letter from the Lindale superintendent, Stan Surratt, quoting Priddy as saying, "I used a previous supply list [from a private school]." After two follow-up letters, the branch manager responded Aug. 23 to say that the bible verse had been removed and had been placed there by an unknown postal patron. The Freedom From Religion Foundation has put an end to several forms of unlawful school prayer in DeSoto County, Miss., after the school board voted to reaffirm and follow its eight-year-old written policy against such prayer. FFRF Staff Attorney Stephanie Schmitt wrote an Aug. 10 letter to Superintendent Milton Kuykendall, strongly advising him to end the illegal prayers taking place before sporting events, school lunches and commencement ceremonies. All of the prayers were Christian-based and some were broadcast over the school's loudspeaker. "Our current policy is not to have prayers in football games and we're going to abide by that which we believe the law to be," said Keith Treadway, school board attorney. "We will not have prayer over the PA. The principals have all expressed they are aware of the law and intend to abide by it,” Treadway stated in an interview the DeSoto Times Tribune. The Daily News reported Aug. 21 that Kohls had changed her mind and was dropping her proposal. Along with FFRF, ACLU of Ohio had also objected. “Every inch of school was blessed that evening as Rev. Jaison Mangalath of Holy Ghost Catholic Church led two dozen people around the school for their annual prayer rally.” That’s from an Aug. 11 story in the Opelousas [La.] Daily World. The priest and a church group called the Blood Covenant Women of God were led through the public Opelousas High School by Principal Rodney Johnson prior to the start of the school year. “Mangalath blessed classrooms, hallways, offices and meeting areas, sprinkling holy water throughout the school as the group followed behind and recited the Hail Mary,” the paper reported. Other prayers were also said. FFRF Co-President Annie Laurie Gaylor, on behalf of Louisiana members, sent a letter of objection Aug. 12 to Superintendent Michael Nassif and the St. Landry Parish School Board. The Daily World reported Aug. 16 that the church group had asked Nassif for permission to hold the rally and had been denied. Unbeknownst to Nassif, however, Johnson had already approved the rally. Johnson claimed not to know about Nassif’s denial. Johnson could be disciplined, Nassif said, adding that principals will be reminded of separation of church and state rules at an upcoming monthly meeting. Moczygemba responded to FFRF on Aug. 15, saying that they would be unable to change the venue as it is the only facility in New Braunfels that has both the indoor seating and parking capacity to accommodate all their employees. However, the District did assure FFRF that they did not schedule a prayer at the August 2011 Employee Convocation. The Freedom From Religion Foundation alerted a school district in Brandenburg, KY to a serious offense on June 7, 2011. The Green River Co-op policy allowed Gideons to distribute bibles to 5th grade elementary school students. Rebecca Markert, FFRF senior staff attorney, wrote to the Superintendent asking that the school district not allow any religious group to distribute materials in the district schools. She also informed the district that they "need not create an open public forum whereby any private organization may take advantage of school resources and a captive student audience to further its personal goals." The school district attorney wrote to FFRF on August 5, 2011, "...the District has not been historically opposed to permitting the voluntary disposition of Bibles to those students who wish to receive a Bible. Nevertheless, in light of your above mentioned correspondence and having reviewed the applicable legal authority, the District agrees to preclude the distribution of Bibles by the Gideons as requested by your correspondence." On August 4, 2011, the District wrote back stating that it will now require all schools in the District to use the terms “opening remarks” and “closing remarks” as opposed to the terms “invocation” and “benediction.” Stephanie Schmitt sent a similar complaint to Deer Park Independent School District in Deer Park, Texas on June 22, 2011. Per their their August 25th, 2011 response, the Deer Park Independent School District will be requiring an identical change in their graduation ceremonies. A North Carolina school district now has a policy prohibiting religious speech at commencement after the Freedom From Religion Foundation expressed serious concerns about a graduation speaker. Graduating seniors from Nantahala School in Nantahala, N.C. (part of Macon County Schools), invited Rev. Daniel "Cowboy" Stewart, a controversial, outspoken religious leader. The pastor's sermon included placing a volunteer from the audience in ropes and putting a bag over their head.Stewart was quoted in The Andrews Journal as saying, "The devil is out to destroy you, to tie you up." Rebecca Markert, FFRF senior staff attorney, wrote a letter on June 29, 2011 to Dan Brigman, Superintendent of Macon County Schools, that Stewart "obviously abused his speaking opportunity to proselytize a captive audience." Brigman replied to FFRF on August 4, saying while Stewart was not invited for the purpose of delivering a sermon, they will "ensure that future graduation speakers refrain from religious speech." See FFRF's original news release for more information. The Freedom From Religion Foundation alerted a post office in McHenry, Ms., to a serious violation of postal regulations and the U.S. Constitution. Religious fliers, clearly visible to all passersby, were posted in the post office lobby in July 2011. The flyer advertised a local vacation bible school's New York City-themed event. On behalf of a local postal client, FFRF Senior Staff attorney Rebecca Markert wrote to the Postmaster on July 21, 2011, citing postal regulations and asking that the flier be removed from postal property immediately. Postmaster Relief Jeanette L. Walker replied on July 27, 2011, that the poster in question and all other posters "have been removed and no further ones will be allowed to be posted." to cite residents who chose to cover up the religious part of the stickers. The city is working on a policy to avoid the issue in the future. Elliott noted that the oath doesn’t allow an appropriate alternative for teachers with no belief in a god or teachers who adhere to religions such as Jehovah’s Witness. FFRF got a response on July 11, 2011 from Acting Education Commissioner Christopher Cerf, confirming that the department has added a nonreligious affirmation, which omits “so help me God,” to its form. After receiving complaints from FFRF and local parents, Gideons International will no longer be able to distribute bibles in the public schools in Conway, Ark. In June 2011, FFRF received a complaint from concerned parents in Conway who informed FFRF that their sixth-grade child had told them that Gideons were distributing bibles after an assembly at Ruth Doyle Intermediate School. The "Chicken Dance" assembly, raising money for charity, was mandatory and took place during instructional time. After the assembly, Gideons were located in the hallway outside the cafeteria exit, where all students would have to walk past them. The complainant also informed FFRF that the same type of bible distribution had occurred during previous school years. On July 7, 2011, FFRF Staff Attorney Patrick Elliot sent a letter to Conway Public Schools Superintendent Dr. Greg Murry, informing him that bible distribution on school grounds is illegal and asking for an end to this practice. Elliott explained, "When a school distributes religious literature to its students, it has unconstitutionally entangled itself with a religious message, in this case a Christian message." Later that same day, Superintendent Murry replied to Elliott via email, informing FFRF that he had recently met with other concerned parents and that the district would "discontinue the distribution of Gideon Bibles." He also state that the Gideons had been informed of this decision. A Columbus, Ohio resident informed FFRF that several religious mottos were clearly displayed in the local Bureau of Motor Vehicles, including a bumper sticker reading, "If my people would pray and humble themselves," and a poster quoting Jesus saying, "Do unto others as you'd have done to you." On February 15th, 2011, FFRF Staff Attorney, Patrick Elliott, informed the Bureau, "The display of religiously themed materials in the Columbus BMV branch cannot withstand constitutional scrutiny, as the purpose for the display is religious in nature and the display constitutes government endorsement of religion." The BMV did not officially respond to the letter, but the complainant confirmed that they had since visited the branch and the religious-themed displays had been removed. FFRF Staff Attorney Patrick Elliott wrote a letter of complaint to North Vermillion Community Schools Superintendent Mike Turner, informing him that the sign was unconstitutional. Elliott wrote, "North Vermillion Schools may not display Christian or other religious messages on school grounds. It is unconstitutional for the school to send a biblical message to students that it is 'the will of God' to 'remember your creator.' This is precisely the type of message that public schools are not allowed to endorse." On June 22, 2011, Superintendent Turner responded, "An acceptable replacement sign is being designed and will be made to replace the challenged signage. My timeline is to have the replacement sign in place before school starts for the 2011-2012 school year." The Garfield Heights City School District in Ohio settled a lawsuit filed against it by the Alliance Defense Fund, a Christian legal group based in Arizona. The suit, brought by ADF on behalf of a mother’s group, alleged that the group’s free-speech rights were violated when Maple Leaf Intermediate School declined to distribute fliers and permission slips promoting after-school Christian programs. In previous years, the school was the subject of several FFRF complaints about staff unconstitutionally sponsoring a “field trip” to a nearby church during the school day. Superintendent Linda Reid canceled the field trip last year after an FFRF complaint. Reid drew the ire of the mother’s group this year when she also declined to distribute fliers for their after-school bible themed events. In a May 2011 letter, FFRF Co-President Annie Laurie Gaylor suggested a solution to the lawsuit. Gaylor noted that problems arise when teachers distribute religious fliers: “I encourage you to consider amending the district’s policies so that only district-sponsored announcements are sent home with students. This avoids the difficult First Amendment issues that arise when the school becomes involved in distributing materials for other groups.” The district, taking that advice, agreed in the settlement with ADF to amend school policy so that outside groups won’t be able to send fliers home with students. Groups can place limited quantities of fliers in the school office. The district also agreed to pay $3,000 to ADF attorneys to settle the suit, which was dismissed June 21. In May 2011, FFRF was alerted by a Pulaski, Tenn. resident that "kindergarten graduation" at Pulaski Elementary featured a two-minute prayer by a local Church of Christ minister "in Jesus' name." This is the second complaint FFRF has received in a year about violations at Pulaski Elementary. In December, FFRF complained about kindergartners being instructed to sing the religious song "Johnny Appleseed Grace" by their teachers as a prayer. On May 26, FFRF Staff Attorney Rebecca Markert sent a letter to Tee Jackson, Director of Schools in Giles County, requesting an end to prayer at all graduations in the school district in the future. Markert said, "The graduating kindergarten children, as young as 5, who have previously been taught prayer by their teachers and are again subjected to religious ritual on their big graduation day cannot possibly be able to discern that the school district does not endorse the religious messages embodied in the graduation prayer." Markert noted that the principal was present during the prayer. On June 6, Jackson responded, "We do not expect this circumstance in the future." On May 25, 2011, Stephanie Schmitt of FFRF sent a letter to Grand Prairie Independent School District in Grand Prairie, Texas to alert it to the fact that it “is unlawful for any school-sponsored event, such as a banquet recognizing academic achievement, to present a prayer” and to demand that the District take the necessary steps to “ensure that Grand Prairie School students are not being forced—directly or indirectly—to sing songs of religious worship.” The District responded on June 2, 2011 assuring FFRF that the prayer was an isolated event that was not consistent with District Policy. The District also said that it would share the alternative secular version of the song, titled “We are Standing in the Light of Peace,” with the choral directors. In May 2011, FFRF was alerted that Gideon bibles were being distributed to fifth-grade students at McCormick's Creek Elementary School in Spencer, Ind. On May 23, FFRF Staff Attorney Patrick Elliott wrote a letter of complaint to Spencer-Owen Community Schools Superintendent Greg Linton, informing him that teacher distribution of bibles is unconstitutional. Elliott said, "Public schools have a constitutional obligation to remain neutral toward religion. When a school distributes religious literature to its students, it has unconstitutionally entangled itself with a religious message, in this case a Christian message." Elliott added, "Whether or not a bible is forced on a student, this practice is still an unconstitutional endorsement of religion. . . . This matter is especially concerning given the young and impressionable age of elementary school students." On June 2, the school district's attorney, Jack R. Woodruff, responded that students had been escorted by their teachers off school property during recess to receive Gideon bibles. Woodruff said that he believed that this practice was unconstitutional, and that Superintendent Linton had "communicated in writing to his entire administrative team, that the facilitation of Bible distribution to school students on school grounds is strictly forbidden." Woodruff continued, "In addition, Mr. Linton has taken it upon himself to make contact with the local director of Gideons International to advise him that their Bible distribution to public school students is in violation of the law and that Spencer-Owen Community Schools will not be complicit in their distribution." After receiving three letters of complaint from Freedom from Religion Foundation senior staff attorney Rebecca Markert, the Laurens County School District 55 in Laurens, S.C. halted its longstanding practice of voting to hold illegal, student-led prayers at graduation. FFRF's complainant, Harrison Hopkins, a graduating senior, spoke out publicly against the vote on whether to pray and against the rumored plans of valedictorians to pray during their speeches. See FFRF's earlier press release, announcing that Harrison had been awarded FFRF's $1,000 student activist award. See Harrison's interview on local television for more information (5/18/2011). In April 2011, FFRF received a complaint regarding about two religious displays in Glendale Union High School classrooms from a Glendale, Ariz. resident. A history teacher had displayed a timeline of world history which started with Adam and Eve and read, "In the beginning, God created the heaven and the earth." In the same school, a picture of Jesus and the Ten Commandments hung on the wall of an art classroom, where the teacher kept a bible on his desk. FFRF Staff Attorney Patrick Elliott wrote a letter of complaint to Superintendent Jennifer Johnson, reminding her that "Courts have continually held that school districts may not display religious messages or iconography on the walls of public schools." Elliott added that these teachers' displays were "inappropriate and a violation of the Establishment Clause. Students taking their classes should not have to view materials promoting Christian messages. There is no educational or academic component or motive for such displays; their presence is proselytizing a captive audience." After FFRF followed up on May 25, Superintendent Johnson responded, saying that the displays had been taken down. In her letter dated May 31, Johnson said she had directed the Glendale Union High School principal to "have a conversation with the two teachers involved and directing them to remove the questionable materials," and that, to her knowledge, no further church-state violations were occurring in the high schools. After FFRF complained last December about Prineville, Ore.'s yearly nativity scene, the city council voted on May 24 to end city sponsorship of the display. FFRF received a complaint from a Prineville member in December 2010 about the nativity scene that was traditionally set up at the entrance of the Prineville City Hall. FFRF Staff Attorney Rebecca Markert wrote a letter on Dec. 13 asking that the display not be put up, saying, "When the government displays this manger scene, which depicts the legendary birth of Jesus Christ, it places the imprimatur of the city government behind the Christian religious doctrine. This excludes citizens who are not Christian—Jews, Native American religion practitioners, animists, etc., as well as the significant and growing proportion of the U.S. population that is not religious at all." This May, our original complainant informed us that the city council had decided to transfer the creche into private hands. According to an article in the Central Oregonian, the city council voted to no longer display the creche on city property, while encouraging local residents to come up with their own holiday displays. Prineville Mayor Betty Roppe stated the city's decision was intended to avoid lawsuits or further legal complaints, saying, "It is time to accept our obligations to the citizens of Prineville—they want the nativity scene. But we also have a fiduciary responsibility to our citizens to not waste taxpayers’ money on lawsuits." After receiving a complaint from a concerned high school student, FFRF stopped illegal prayer in an algebra classroom in Lenoir City, Tenn. In April 2011, a student at Lenoir City High School told FFRF that he had been made aware that his former Algebra II teacher was leading students in prayer before their final exams. On April 20, FFRF Staff Attorney Rebecca Markert wrote a letter to the Superintendent of Lenoir City Schools, informing him of this violation, saying, "As you know, it is well settled that a public school teacher may not lead, direct or ask her students to engage in prayer." Markert also reminded the district that voting, or a lack of objection, did not make classroom prayer more legal. On May 5, Superintendent Wayne Miller responded that this teacher had been informed of the law against classroom prayer, that she had apologized in writing, and that he had taken steps to inform all district principals and teachers of the illegality of classroom prayer. The city of Grandville, Mich., removed religious language from its official city website after receiving a complaint from FFRF. The website included a list of community values adopted in June of 2000, including "Faith, being guided by a strong religious heritage." "Incorporating a proclamation of shared religious belief into the values of a municipality is inappropriate," wrote Senior Staff Attorney Rebecca Markert in her letter of March 11, 2011. "It is also inappropriate to display this value on the city's website. By implying that belonging to the Grandville community requires adherence to 'religious heritage' and valuing 'faith,' Grandville is compromising the First Amendment rights of its citizens." After FFRF's complaint, the football team at West High School in Knoxville, Tenn. will no longer have a volunteer chaplain. In December of 2010, FFRF was alerted by a concerned area member that Graham Schulyer, a priest at Apostles Anglican Church, was serving as the volunteer chaplain of the football team. The complainant sent FFRF a copy of a local news article about the football team's religious inclinations. On May 3, 2011, the Knox County Law Director's Office responded to FFRF: "West High School football team will not have a volunteer chaplain in the future. By policy, Knox County Schools neither advances nor inhibits religion." In December 2010, FFRF was alerted by Cliff Hillington, a Nevada FFRF member, of a constitutional violation that had taken place during the administration of his oath to become a Notary Public. On May 27, 2010, Mr. Hillington had been told by a Deputy Clerk of Clark County, Nev. that he could not omit the phrase "so help me god" in his oath as a notary. As a non-believer, he was made very uncomfortable by this and felt he could not in good conscience perform his duties as a notary. On February 11, 2011, FFRF Staff Attorney Rebecca Markert contacted the Nevada Secretary of State about this violation, and followed up on April 12 with the Clark County Clerk. In her letter, she pointed out that the Nevada Constitution specifically allows for secular affirmations as well as religious oaths, saying, "No person applying to be a notary public should be required to take a religious oath. Not providing a secular alternative violates Nevada law." She also cited Torcaso V. Watkins, a U.S. Supreme Court decision explicitly calling it unconstitutional to force a notary to take a religious oath. The Clark County Clerk's office sent a response to FFRF and Mr. Hillington on May 2. The County Clerk, Diana Alba, apologized for the "misunderstanding between my staff and Mr. Hillington regarding his option to solemnly affirm under the pains and penalties of perjury." Alba went on to say that all employees in her office, including the deputy clerk who swore Hillington in, had been reminded that those being sworn in "are allowed to take the oath in accordance with their personal preferences as defined in Nevada law." In addition, Hillington was offered the option to re-take his oath in a secular manner. The Freedom From Religion Foundation alerted a post office in Lothian, Md., to a serious violation of postal regulations and the U.S. Constitution. Religious fliers, printed on blue 8 1/2 x 14 inch paper and clearly visible to all passersby, were stacked in the post office lobby in early April, 2011. The headline read: "God Gives Another Infallible Proof that Assures the Rapture Will Occur May 21, 2011." Rebecca Markert, FFRF senior staff attorney, wrote the Lothian Postmaster on April 4, 2011: "United States postal regulations prohibit the display of fliers on postal property. [Postal regulations] state that no fliers may be deposited on counters or other interior public areas on postal premises. The section goes on to state that private business and nonprofit organizations may not post or display advertisement in post office lobbies or other posting space. "Furthermore, displaying this flier containing a religious message violates the First Amendment to the United States Constitution," Markert remarked. "By displaying this flier on its counters, the Lothian Maryland post office branch is illegally demonstrating a preference for religion, specifically Christianity." She asked that the fliers be removed from postal property immediately. Minford Local School District (Minford, Ohio) has ended the scheduling of prayers at high school assemblies and graduations after FFRF notified the superintendent of the illegal practices. Prayer was scheduled and delivered by a student during the February 2011 National Honor Society (NHS) assembly at Minford High School, and prayer had been scheduled for high school graduations in previous years. The assembly prayer had been approved by the NHS advisor and the principal. Rebecca Markert, FFRF senior staff attorney, wrote in her Feb. 25, 2011 letter: "Even if student-initated, school officials may not invite a student, teacher, faculty member or clergy to give any type of prayer, invocation or benediction at a public high school-sponsored event. . . . The Supreme Court has settled this matter — high school assemblies and graduations must be secular to protect the freedom of conscience of all students." FFRF ended a serious state/church violation at Cedar Cliff High School (Camp Hill, Pa.) involving staff planning and hosting a religious baccalaureate service. On June 3, 2010, the school hosted the baccalaureate service under the direction of two teachers. The service included an invocation, religious message and benediction by Pastor Jeff Davidson and a performance of the religious "Anthem Dedication" by student members of the Chamber Singers. Several days later, Red Land High School (in the same school district) held a similar baccalaureate service in which students sang "A Closing Prayer" and "The Lord Bless You and Keep You." Cedar Cliff scheduled and transported students to an official baccalaureate practice after senior exams on June 3. Both services contained the district seal and both were held on district property. Rebecca Markert, senior staff attorney for FFRF, sent a stern letter July 1, 2010, to Superintendent Jamry Small: "As an inherently religious event, a baccalaureate service may not be held or financially supported by a public school. . . . School sponsorship, or even the appearance of sponsorship, of baccalaureate services is unconstitutional and any endorsement, participation, planning or promotion of the services must cease immediately. "End-of-the-year celebrations mean a lot not only to Christian students but also to students practicing non-Christian religions and the 15% of your student population who are nonreligious," she added. "A secular, school-sponsored awards night may benefit from full school endorsement and has the added advantage of being entirely inclusive of students and families from all types of religious or nonreligious backgrounds." FFRF successfully stopped a school district from requesting its teachers wear a ribbon that contained an image of a Christian cross and the name of a ministry, supposedly in honor of Martin Luther King Jr. Day. Teachers in the Beloit Turner School District [Beloit, Wis.] received this request by email from Dr. William L. Beckley, director of Curriculum/Staff Development, on Jan. 14, 2011: "All Staff, In honor of the National holiday on Monday, we will be delivering the Dr. King ribbons this A.M. All staff are asked to wear the ribbons today and on Monday. . . . " In addition to the cross, the ribbon said at the bottom, "Beloit Community Ministers Fellowship." "While honoring Dr. King is laudable and a worthy cause . . . the Latin cross is universally understood to represent Christianity," wrote Patrick Elliott, FFRF staff attorney, in his March 10 letter. "Non-Christians and nonbelievers do not wish to display this Christian symbol on their person." Owasso Public Schools [Okla.] removed an 8-inch wooden cross prominently displayed in a public school bus three days after receiving a stern letter from FFRF Staff Attorney Patrick Elliott. The letter, sent Feb. 25, 2011, said, "courts have continually held that school districts may not display religious messages or iconography on the walls (or ceilings) of public schools." Elliott noted that the buses were under the control of the public schools and thus were subject to the same treatment under the Establishment Clause as school classrooms. Superintendent Clark Ogilvie replied by e-mail Feb. 28: "The cross has been removed from the bus." Rebecca Market, FFRF senior staff attorney, wrote a strong letter requesting the superintendent "commence an immediate investigation into this allegation and take prompt action to halt prayers occurring at public schools in your district. . . . Your school district should make certain that its teachers are not unlawfully and inappropriately indoctrinating students in religious matters. While acting in their official role as public school teachers, and while they are present in classroom or public school, teachers may not pray with students. Courts have upheld the termination of teachers who do." Markert also pointed out that this practice violates the district's own policy, which states clearly, "The school system and its employees shall not conduct, sponsor, or endorse any form of religious indoctrination or exercise, including prayer, at school functions." FFRF contacted the Wayne County Community College District, a publicly-funded college with campuses in and around Detroit, requesting that it end its Ministerial Leadership Academy Studies Certificate program. Patrick Elliott, FFRF staff attorney, wrote on Jan. 27, 2011: "It is inappropriate for a public community college to offer a course that is religiously devotional in nature." Classes in the program included Introduction to Christian Education, which taught students "to become a strong Christian witness." A class titled Personal Relationship and the Word was described as helping students "develop stronger Bible based relationships with God." Class descriptions identified preaching as a “Gospel proclamation” and “a decree of the Holy Spirit.” FFRF objected to the program as a violation of the Establishment Clause and the Michigan Constitution (Art. I, Sec. 4), which says, in part, that no taxes can support teachers of religion or be used for the benefit of theological or religious seminaries. FFRF received a response from the vice chancellor (Feb. 9, 2011): "After review of the Establishment Clause it was found the essence of the clause is to ensure 'a wall of separation between church and state.' As a result, the program is being discontinued. Students currently enrolled will be allowed to complete their certificates, but no new students will be accepted as of this coming semester." FFRF has halted in-class prayers and devotionals by a Texas choir director. On behalf of a Texas complainant, FFRF Staff Attorney Patrick Elliott objected [in a Jan. 14, 2011 letter] to an Amarillo School District choir director leading students in prayer at Tascosa High School. “Our complainant informs us that [the choir director] is known to have in-class prayers. It is our information and understanding that each Friday, [his] students sing ‘The Lord Bless You and Keep You.’ We are told that it is often sung with students holding hands and heads bowed. We also understand that prior to competitions, [the choir director] asks the students to bow their heads and then leads them in prayer.” The director is also alleged to have held a Sunday worship service at a Holiday Inn in Dallas for students who attended a choir competition in March 2010. The district responded that the teachers were instructed that they "may not, while acting in their official capacity, encourage or discourage prayer, or actively participate in such activity with students" (Jan. 24, 2011). FFRF halted a 13-year state/church violation involving high school baseball teammates (Loudon County, Va.) who were led in prayer by coaches before each game, including in the 2010 season. A picture of the coaches praying with the players appeared on the school's website and in a school yearbook, along with a quote from a student: "Before each game, we go to left field, take a knee, take our hats off, and the team prays." FFRF Senior Staff Attorney Rebecca Markert wrote a letter (Sept. 23, 2010) objecting to this unconstitutional tradition. Federal law "dictates government employees should refrain from actively participating in religious activities while acting within their governmental role to avoid any perception of government endorsement of religion and/or excessive entanglement with religion." An attorney for the district responded (Jan. 20, 2011): "We have taken steps to insure that administrators and coaches are aware of the current status of the law and strictly adhere to those parameters in the future." An FFRF letter swiftly resolved a violation in which Salvation Army bell ringers were soliciting funds on U.S. Post Office property in Elgin, Ill. The Foundation's letter (Dec. 23, 2010), which included photographs of a bell ringer at the postal entrance, asked the Postmaster of the Elgin main branch to direct the Salvation Army to relocate its solicitation off government property. Rebecca Markert, FFRF senior staff attorney, wrote: "The Post Office cannot allow a Salvation Army bell ringer to solicit donations on postal property. [Postal regulations] state specifically that 'soliciting alms and contributions... or impeding access to or egress from Post Offices are prohibited.' Furthermore, 'no tables, chairs, freestanding signs or posters, structures, or furniture of any type may be placed in postal lobbies or on postal walkways, steps, plazas, lawns or landscaped areas, driveways, parking lots, or other exterior spaces.' "